"This is about more than just gates," IWF Executive Director Brian Brooks said. "This is about wealthy individuals flaunting Idaho's laws and illegally claiming public resources as their own without repercussions." The gates installed by a pair of Texas billionaire brothers on an Idaho Forest Service road through their property in Boise County are illegal, according to the Idaho Wildlife Federation. Dan and Farris Wilks have raised the hackles of hunters and other outdoor recreationists who rely on access to Idaho public lands after their controversial purchases of vast swaths of private land in the state. 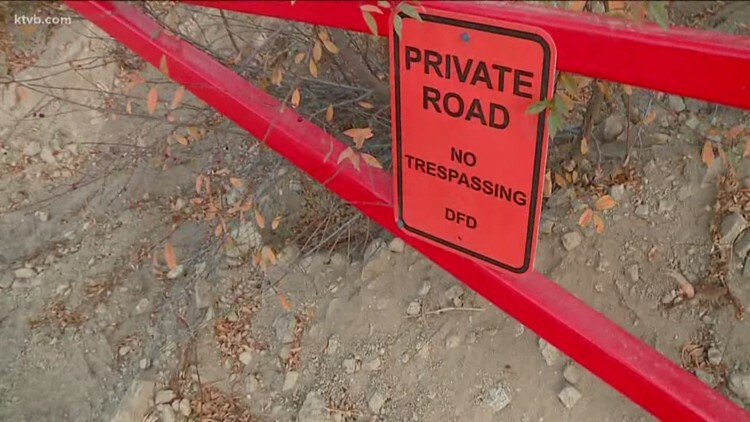 The tensions raised by the Wilkses have reached a fever pitch as of late, with the installation of gates on Forest System road 374 - known as Boise Ridge Road - by their company, DF Development LLC. They recently put up sets of bright orange gates on the popularly-traveled Forest Service road through their property just miles from Bogus Basin, surrounded by the Boise National Forest, and "No Trespassing" signs on their private property. For decades, outdoors enthusiasts have used FS 374 to get through Boise County to reach their favorite hunting spots and recreation destinations. The Idaho Wildlife Federation has also taken notice. On the heels of a recent report by KTVB's Morgan Boydston, the IWF on Wednesday said the gates violate Idaho law, based on records they received in response to a records request with the Forest Service.